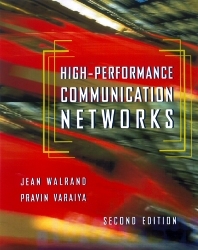 By focusing on the convergence of the telephone, computer networking, cable TV, and wireless industries, this fully revised second edition explains current and emerging networking technologies. The authors proceed from fundamental principles to develop a comprehensive understanding of network architectures, protocols, control, performance, and economics. Communications engineers, computer scientists, and network administrators and managers will appreciate the book for its perspectives on the innovations that impact their work. Students will be enriched by the descriptive and thorough coverage of networking, giving them the knowledge to explore rewarding career opportunities. approaches for quality-differentiated services in IP and ATM networks. Examines the Internet, including proposed advances for improved performance and quality of service. Presents a comprehensive discussion of wireless networks for voice and data. Explains the economic factors and technical tradeoffs that guide network development. Jean Walrand, a professor in the Department of Electrical Engineering and Computer Science at UC-Berkelely, is a recipient of the Lanchester Prize and a fellow of both the IEEE and the Belgian American Educational Foundation. His research interests include stochastic processes, queuing theory, communication networks, and control systems. His other books include An Introduction to Queuing Networks (1988) and Communication Networks: A First Course (1998). He is co-founder of Odyssia Systems, a Berkeley-based company specializing in the development of IP-QoS systems. Pravin Varaiya is the Nortel Networks Distinguished Professor in the Department of Electrical Engineering and Computer Science at UC-Berkeley. A fellow of the IEEE and a member of the NAE, he has been engaged in teaching and research in communication networks for two decades. He is co-Principal Investigator on the NSF-sponsored Internet Demand Experiment (INDEX) and WebTP projects, as well as on an ONR-sponsored project dealing with ad hoc networks for unmanned air vehicles.